Hercules Cluster - Globular clusters are groups of stars within our galaxy that are held together by the mutual gravitational attraction of their many stars. Stars are seen swarmed together in this picture of the Hercules Cluster (M13), the brightest globular cluster in the Northern skies. Globular clusters get their name from their spherical shape. There are as many as 300,000 individual stars in this cluster. 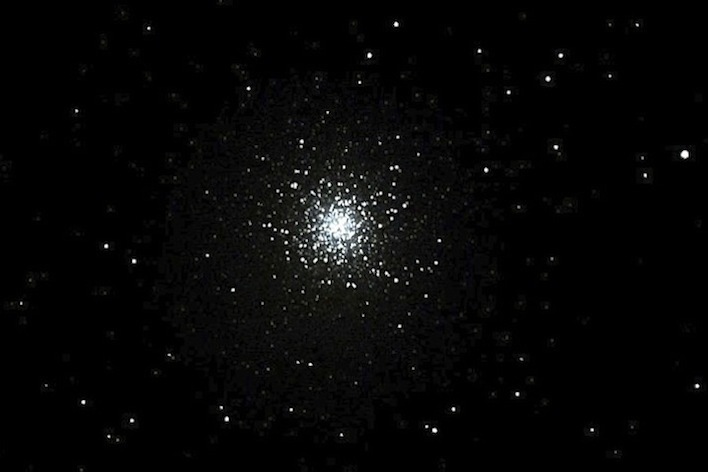 Globular clusters such as this one are actually much older than open clusters, such as the Pleiades. In fact, they are among the oldest structures in the Galaxy.